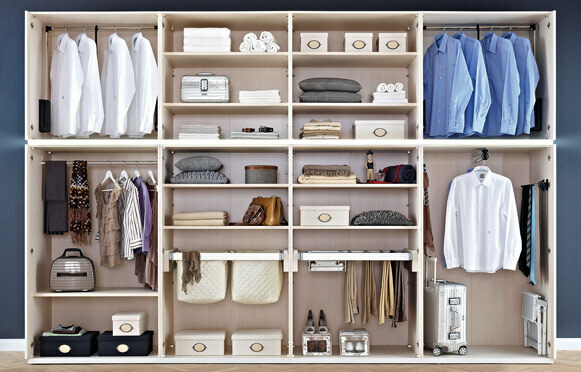 Our made to measure bedroom systems are synonymous with innovative and creative design from minimal fitted wardrobes to luxurious built in bedroom furniture with adjoining dressing rooms. 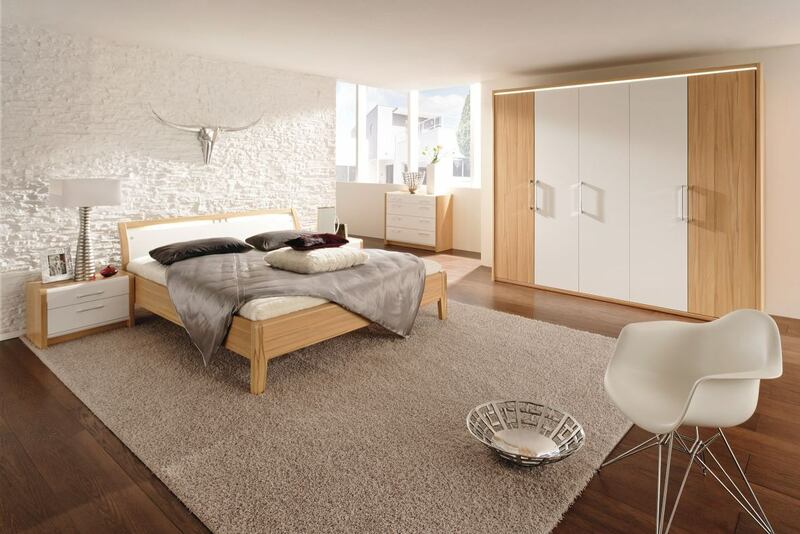 Choose from framed, mirrored or glazed wardrobe doors, bed frames, bedside cabinets, drawer units, dressing tables and a wide range of finishes to complement your décor. 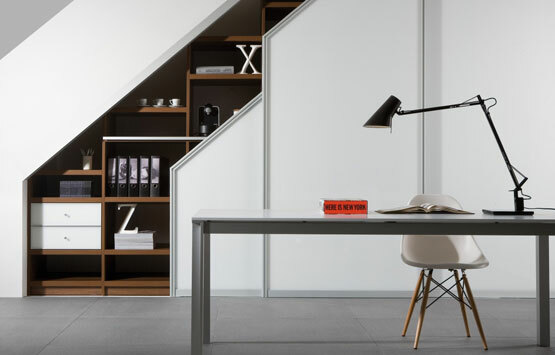 Bespoke storage solutions ensure clutter is kept to minimum with a place for everything meaning that tricky space created by alcoves, sloping roofs, or unusual layouts isn't lost or wasted. 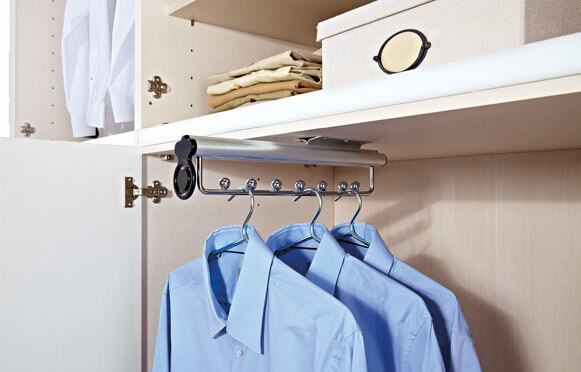 There are single or double hanging rails, open shelf units, shoe racks and tie compartments to name just a few. All our bedrooms are designed and built according to the space and shape of your room, your taste and your storage needs. Sliding doors and frames are available in a wide variety of styles, colours and finishes that can be created in a range of configurations to create something totally unique to you and your room. Every door is individually made-to-order to ensure maximum access and use of space. Each door is also expertly weighted and features soft close technology as standard, to ensure they glide effortlessly shut, creating a focal point for any bedroom design. 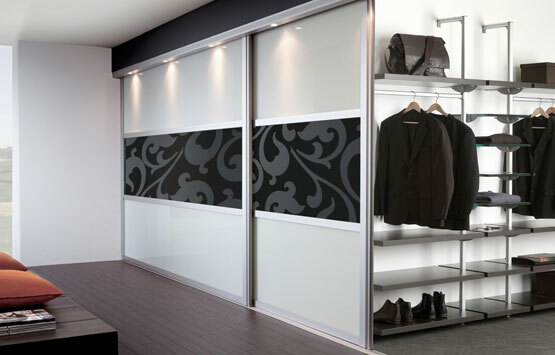 Functional, beautifully crafted hinged doors have a multitude of uses. Available in a range of sizes they bring colour, light and form lending themselves to any application bringing floor to ceiling and wall to wall elegance. Choose from framed, mirrored or glazed wardrobe doors, bed frames, bedside cabinets, drawer units, dressing tables and a wide range of finishes to complement your décor. J2 Design Concepts of Bolton supply bespoke locally manufactured cabinets and drawer systems. Our products are well-known for an extraordinary price:performance ratio coupled with excellent quality furniture. Each and every bespoke bedroom is made with the company’s made-to-measure system that is certain to deliver innovative, creative solutions that make dream bedrooms a reality. J2 Design Concepts of Bolton supply bespoke locally manufactured cabinets and drawer systems. Our in-house collection offers numerous finishes and door styles in MDF or veneers. From neutral wood grains, to bold colours, stylish high gloss and modern matts the premium finishes create a statement that is both affluent and add a unique element to any design.